Our featured member for December 2014 is Layla Shaikley. 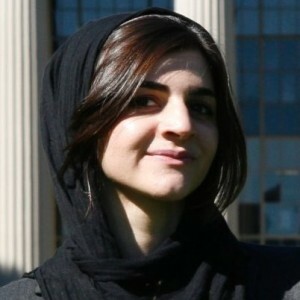 Layla is an alumna of MIT’s School of Architecture and Planning. Layla was trained professional in architecture. She co-founded TEDxBaghdad and took particular interest in post-conflict design which she subsequently pursued. Read more about how Layla transitioned from design for development to co-founding a big-data startup, WISE Systems. Can you describe your professional journey for me? My journey has been completely different than I’d originally planned. I studied architecture and was particularly interested in post conflict design. I was fortunate enough to have landed my “dream job” early in my career, and I worked with NGOs in post-conflict zones to design new and more sustainable architecture. One day in Baghdad, I was driving from my aunt’s house my grandmother’s house. There were several routes I could have taken, and I had been advised by my family to avoid certain routes. Only when I arrived at my grandma’s house did I learn that all the alternate routes had been bombed. By some stroke of luck, I had evaded a disaster. I’d felt so anxious the entire trip — that was really a life changing period for me. It made me reevaluate the work I was doing. My goal was to help rebuild developing countries and their economies, but my experience made me realize that developing nations need data more than they need buildings. In those needs is data that that enables consumers and companies to optimally and safely transport themselves and their goods. Data can help revitalize economies. Data can be an ingredient in ensuring a country can prosper and grow intelligently. Back in Cambridge, I’d already partnered with a few guys to explore ways that data can substantiate development. We spent nearly every moment that we weren’t in class researching and understanding our problem. We pursued tons of student funding opportunities to keep ourselves afloat and ultimately entered MIT’s Global Founders’ Skills Accelerator. That’s how WISE Systems was born. We are a data company that optimizes enterprise logistics. What advice to do you have for others who are looking to put together a business plan? Get an awesome mentor. Our mentors have been incredible. It’s really helpful to chat with people who have already done what you are trying to do successfully. There are awesome books on this front, like Bill Aulet’s Disciplined Entrepreneurship: 24 Steps to a Successful Startup and The Hard Thing About Hard Things: Building a Business When There Are No Easy Answers by Ben Horowitz. I’ve definitely struggled with finding balance — but I can probably share a few thoughts. Don’t be a Mark As Unread girl. It’s blind-sighted time sink. I.e., handle everything as soon as it falls on your lap or schedule when to handle it. And when you schedule it, or when you schedule anything, put a little bullet beneath the task describing what you hope to accomplish. Also, even though it can be really uncomfortable, ask for things. You would be amazed by how many things go your way when you just ask for them. And lastly, establish routines for everything monotonous so that the space in your brain is reserved for important stuff only. As a Cali girl, I literally have lists that remind me how to accessorize in the Boston snow or rain. Sounds dorky, but trust me on this one. You were a producer, fashion director, and star in the Mipsterz video that went viral earlier this year and launched a discussion across the Muslim American community. Can you describe the evolution of that project and what your takeaway was? Many of us millennial Muslims spent decades defending ourselves from narratives of our religion that we are unaffiliated with. Whether its the Islamophobic or terrorist narrative, neither of the polarized descriptions fit. My friend Abbas Rattani, who also produced the video, pointed out how unfortunate it was that honest portrayals of American Muslim women, like my sister and me, weren’t on the forefront of representation. In an effort to write our narrative, we casually filmed a few friends and me. I didn’t expect the video to go viral or sparked a global dialogue and a social media firestorm. When it did, and seeing myself everywhere from Marie Claire to Glamour Paris to GQ to the Source to the Daily Beast further proved our initial thesis that we are underrepresented and that the stage is waiting for anybody interested in bearing the burden of representation. I didn’t want to stunt the conversation the video catalyzed, so I intentionally waited and let the discussion evolve before sharing a few thoughts in the Atlantic: The Surprising Lessons of the ‘Muslim Hipsters’ Backlash. The takeaway from this project for me is that you need to take control of your own narrative and tell your story. You can’t rely on others to tell it for you. What are you doing on a daily/regular basis to achieve your current personal or professional development goals? I keep a daily list of top priority items to complete. I keep a weekly document of what my perfect day would look like, what my goals are for the month, and what my life goals are. Throughout that month, I make a daily effort to get closer to that goal. I find that setting my goals visually and bluntly help elucidate my own thoughts and measure progress. How did you meet and develop relationships with your mentors, and how have they helped you in the process? My MO on mentorship is my MO on life — overreach. Mentorship is critical and I’ve had a variety of amazing mentors throughout the years. I am always floored by how willing people are to share their knowledge and experiences. Think of the most outlandish mentors and try to meet them. Message them on LinkedIn. Ask them for coffee. Use the Muppies network. With incredible mentors, things are just better. If you could go back to your first few years out of undergrad, what’s the one piece of advice you would have told yourself? My dad always taught me that my goals need to be clear and unwavering, but the means are subject to change. I would tell myself to embrace that philosophy and never sweat the small stuff, focus on the big steps and keep my eyes on the end goal. Also, over 70% of people at MIT have imposter syndrome, but they’re not as dumb or incompetent as they think. Let go of the doubts and be fearless, because you’ll only be more busy and responsible tomorrow. You’ll never be more ready if you don’t have the mindset to tackle big problems now. Things don’t get easier. We only get smarter. Read more about Layla’s work on her website, connect with Layla through her LinkedIn profile, or follow her on Twitter at @laylool. Each month, Muppies features one of our members to share about their professional development story and the insights they’ve gained along the way. This interview was originally conducted in December of 2014. Opinions are of the member and do not necessarily reflect the opinions of Muppies, Inc.